This chapter surveys methods that transform a relational representation of a learning problem into a propositional (feature-based, attribute-value) representation. This kind of representation change is known as propositionalization. Taking such an approach, feature construction can be decoupled from model construction. 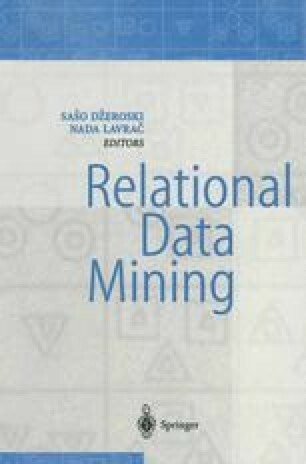 It has been shown that in many relational data mining applications this can be done without loss of predictive performance. After reviewing both general-purpose and domaindependent propositionalization approaches from the literature, an extension to the Linus propositionalization method that overcomes the system’s earlier inability to deal with non-determinate local variables is described.